AMS Instrumentation & Calibration is proud to be associated with FCI for many years and in fact was one of the first overseas distributors for FCI. 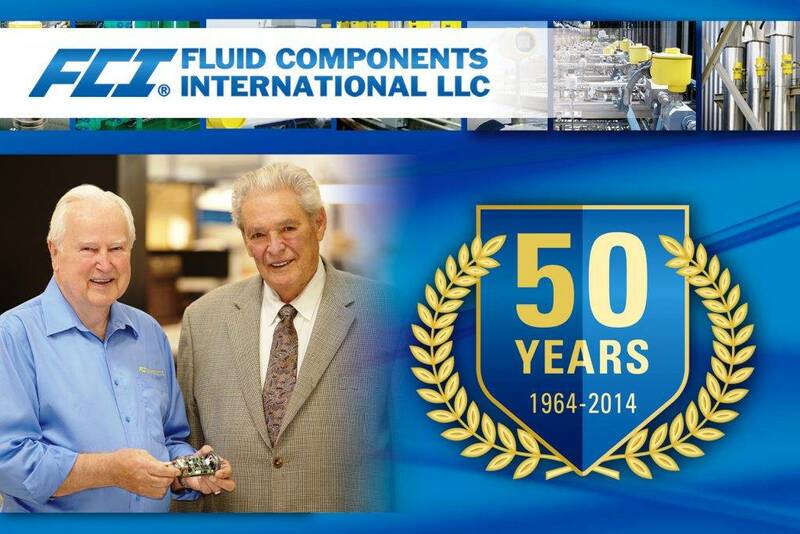 A technology innovator and global leader in flow, level and temperature measurement since 1964, Fluid Components International (FCI) is celebrating 50 years in business with a rededicated spirit to providing its customers with advanced instrumentation, superior quality and excellent value. Founded in 1964 by California engineers Malcolm “Mac” McQueen and Bob Deane, FCI initially found success in the oil/gas industry. FCI was the first company to develop a robust thermal flow switch to detect low flow rates in stripper wells. In the 1970s, the company followed up with flow rate and liquid level switches and transmitters, then next pioneered the development of thermal dispersion mass air/gas flow meters. Over the next four decades FCI built a reputation for accurate, reliable, rugged process measurement instrumentation in many industries, including: aerospace, chemical, electric power generation, nuclear, water treatment and more. FCI’s products are today requested by name in many of the world’s most demanding industries. They are recognized for their precision measurement accuracy and repeatability in harsh conditions, where their high performance ensures both end-product quality and operational safety. The company offers a broad range of application solutions from off-the-shelf devices to custom-engineered systems. FCI’s newest air/gas flow meters combine the most feature- and function- rich electronics with the industry’s most advanced flow sensors to achieve a truly state-of-the-science flow metering solution. They combine measurement accuracy with a rugged design that is compatible with caustic, corrosive, humid and high temperature environments. They install easily, require virtually no maintenance and offer long-life. Flow conditioners developed by FCI’s Vortab Company provide a low-pressure loss solution to correcting flow profile irregularities that affect the accuracy of flow instrumentation. In today’s crowded plants, elbows, valves, blowers and other devices in the pipeline can disrupt flowing media, which reduces measurement accuracy. Vortab® flow conditioners eliminate these flow disturbances to ensure accurate measurement. The FCI Aerospace Division is a world leading manufacturer of built-to-specification flow, level, temperature and pressure sensors designed for mission-critical performance and reliability. Whether military or civilian fixed wing or rotary aircraft, FCI Aerospace has for over 20 years designed and manufactured qualified, flight-worthy sensor systems to meet a broad range of military and commercial applications.